I'm all about greens these days. Since the New Year, I have been going without refined sugar, and skipping most dairy. As an always-hungry omnivore, I resist restrictions in my diet like a petulant child being told to put down the candy. But once in a while, I just get to the point where my body needs a break. When one glance at a butter cookie starts to make to make my belly ache, it's time to switch things up. 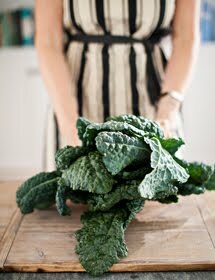 Amazingly, my biggest craving right now is for greens, and I'm not gonna fight a desire that's this healthy. Place cooked garbanzo beans in a medium sized mixing bowl. Once all your ingredients are prepped, get out a large saute pan, and place it on the stove top. Pour in olive oil, garlic and red pepper flakes. Turn heat to medium. Once the garlic sizzles a bit without browning, add the greens. Toss everything a few times with tongs to coat the greens with the warm oil. Cover pan with a lid and cook for 2 minutes or until tender. Add the wilted greens to your bowl of garbanzos. Stir. (I liked using my hands to mix everything together.) At this point I strayed from the original recipe and added the juice of a fresh tangerine: the sweetness of the citrus helps to temper the bitterness of the greens. Add sea salt to taste. Top with lemon zest. Serve and enjoy. I ate this dish all on its own as a satisfying lunch. I also bet it would be delicious served over quinoa or other healthy grain. I've never eaten dandelion greens, i didnt really know you could if i'm honest! what do they taste like? looks very interesting, I might brave it! 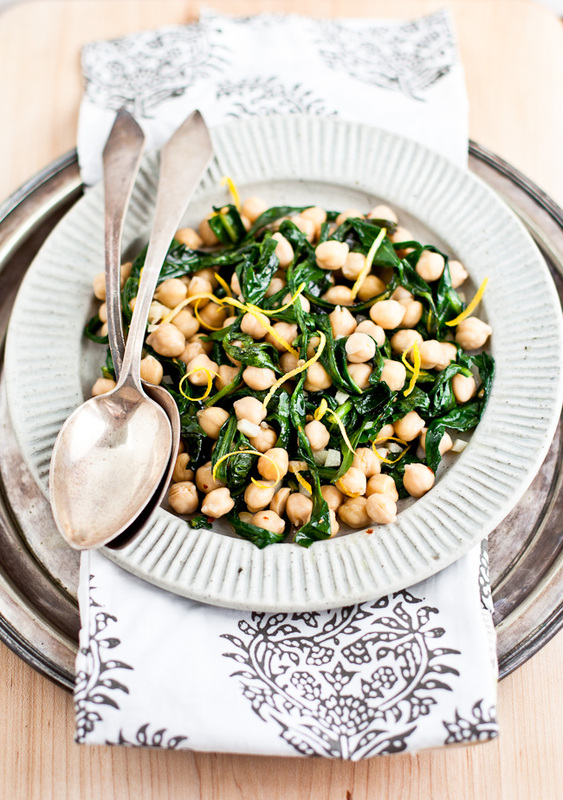 I have never had dandelion greens before, but am definitely intrigued by them, and I love chickpeas! Rosa, I know we are deep in winter but Spring does feel close by. My bulbs are opening and the weeds are spouting. Mal, give the dandelion greens a try. Very interesting flavor and nice with mild chickpeas. I love eating weeds too. I frequently noshed on purslane as I weeded it out of the garden I used to work in. And I try most everything in the woods (even tree leaves - I have to make sure I'm not missing out on anything good!). Emma, I just had a recipe that called for purslane and I couldn't find any at the market. So funny that we buy weeds at the market, right? I know there are so many goodies out there in the wild I have yet to try too. Fun! Hi Erin. Healthy cravings are the best! For a couple weeks, I ate green salads almost everyday, but then I kind of stopped... 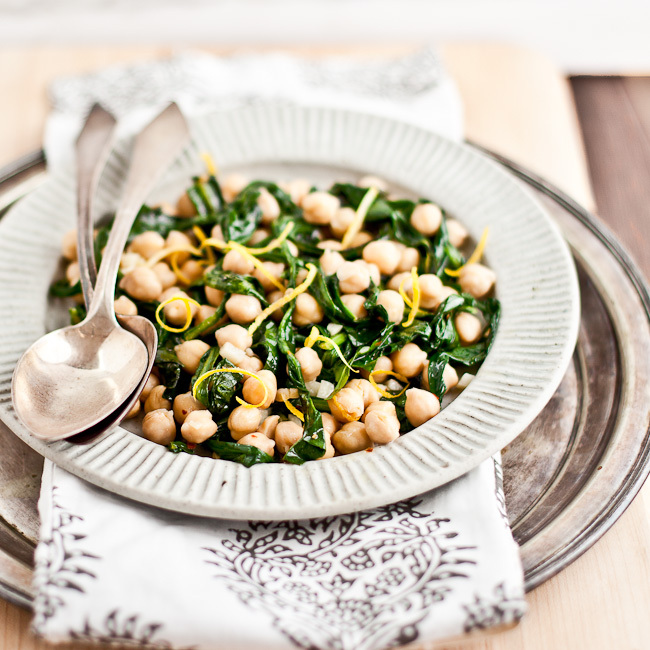 This chickpea and dandelion salad looks so fab though. I love the bright yellow strands of lemon zest scattered throughout the salad. It makes it look like such a bright and cheery dish. I definitely didn't have a craving to eat healthier at the beginning of the new year, but here we are in the middle of january and all i want in the morning is beet juice. WHO AM I?1 And for lunch I need this salad. Super pretty (as always)! Adrianna, I love the image of you and your morning beet juice:) Who would have guessed! 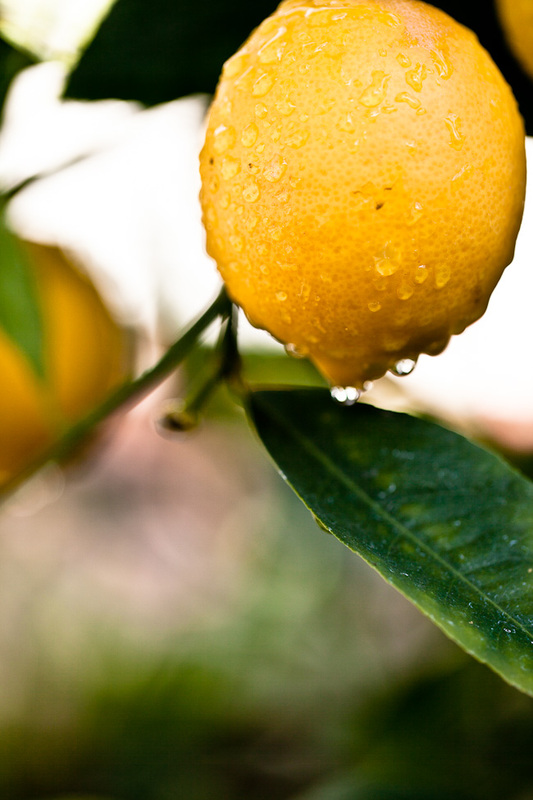 What a sparkling picture of the Meyer lemon. I just want to get out there and pick it right now! I know the big seasons are enchanting, but I have to say I prefer our California winters. i don't think I had dandelion greens before but now I am tempted to try. This is such a quick and healthy meal! I have a hard time carrying on the indulgences after the holidays are over. Like you, I find myself drawn to greens and other vegetables in much the same way I craved on sweet things over the holidays. I kind of like the trade off now. But I know it won't last for long! I've not tried dandelion greens before. I think I should because this dish looks wonderful! First off, gorgeous photos! 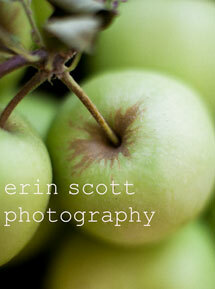 If I had a Meyer lemon tree in my yard, I'd be sure to photograph it like crazy too - it's a beauty. I've been eating loads of salads too; your dandelion greens look wonderful. You really can't go wrong with chickpeas. I'm so enamored of them. I think they may be the perfect protein source. I haven't seen any dandelion greens around lately, but I'll keep an eye out. Kankana, You nailed one of my big reasons for sharing this recipe - I love a healthy and filling lunch you can make in minutes. 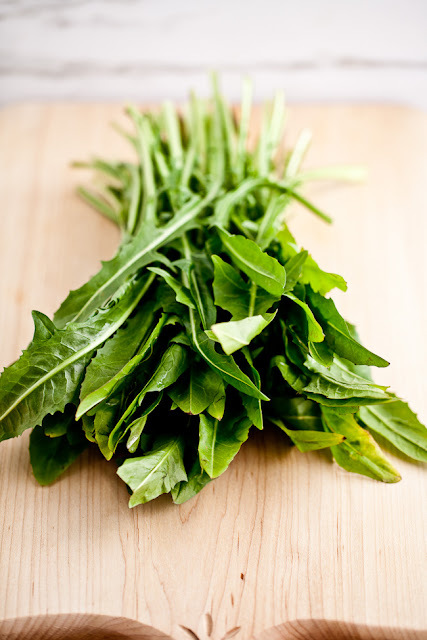 Give dandelion greens a try and let me know what you think. Lori, I figured I wasn't alone in this post holiday indulgence feeling. Our bodies can only take so much before they rebel and insist on change;) Like you I am indulging the healthy cravings while they last. I know I too be back to to decadent stuff before too long! Culinarypretend, Well put! 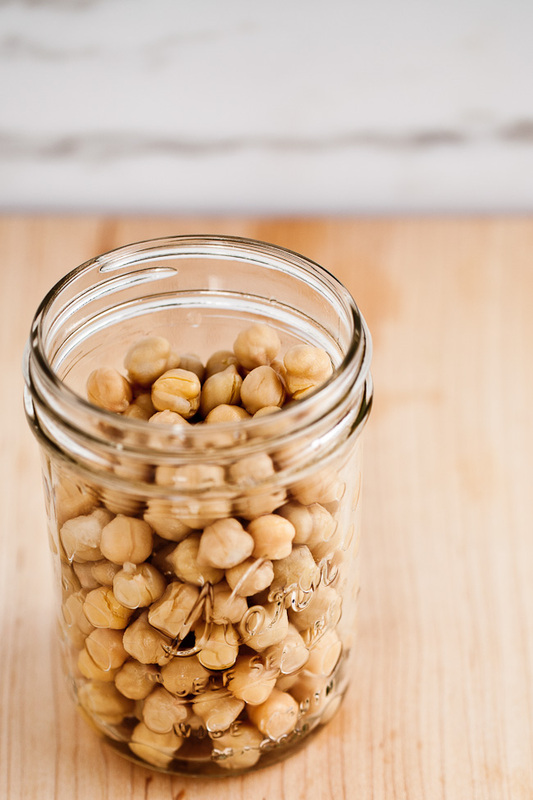 Chickpeas are so satisfying, filling and healthy. With the greens they made such an easy meal in one bowl. 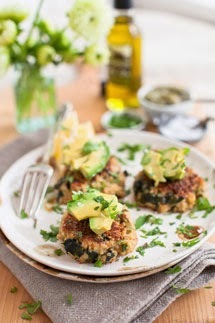 I've never tried dandelion greens, but this dish looks fabulous! I want to try them now! And that photo of the Meyer lemon looks fabulous!!! I'd love to have my own citrus trees. How wonderful to have a lemon tree in your backyard. I was just staying at a B&B (photos soon) that had my beloved kumquats bursting from a tiny tree in the backyard. I sat on the porch, picked a handful and was as excited as I remember being when I was a child and had discovered this natural candy for the first time. Jennifer, look out for dandelion greens this spring - they are definitely worth trying. And you can make jelly from the flowers. Yay weeds! I have never tried dandelion greens!! This might be the kick in the pants I need to get out there and do it! Thanks for the idea. sadly greens in all their lovely profusion and variety won't be fully available for a few more weeks, but such is life in the cold and frigid environs of New York City. 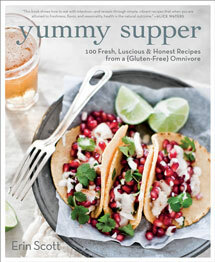 I will definitely be making this in the near future, especially since it features chickpeas, one of my favorite legumes. thanks for the idea! I don't think we will be able to get Dandelion greens at the moment, but I shall print this healthy one for later on. Love your healthy lemons. 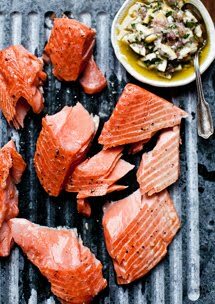 a Palate and a Passport, it really is such a healthy, easy, quick and filling meal. 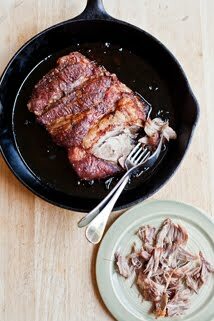 Hopefully the recipe will come in handy this spring! Now if more people would eat a gorgeous vegetarian dish like this on a silver tray, they might feel special and not deprived. I'm with you on craving greens and last week ate one of those huge tubs of organic spinach all by myself in three days. 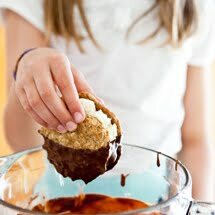 And, I can so relate to feeling sick looking at a cookie. A great new way to enjoy greens! 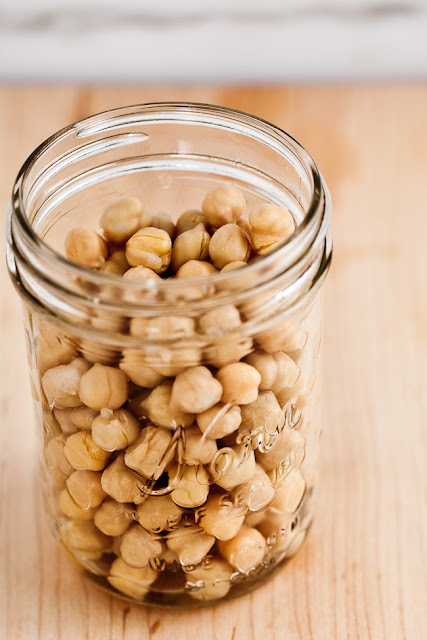 I know chickpeas as gram or popularly known as garbanzo bean here in our country. Lovely combinations of greens and chickpeas which I am now making for a 2nd time. I'm vegan---so appreciate your vegan recipes. Thanks !